The prize-winning author of Dirt, Caribou Island, and Legend of a Suicide returns with a searing, morally complex novel about families, violence, and regret. When the men arrive at the gate to their land, the father discovers a poacher and sights him through the scope of his gun. He offers his son a look—a simple act that will explode in tragedy, transforming these men and this family, forcing them to question themselves and everything they thought they knew. 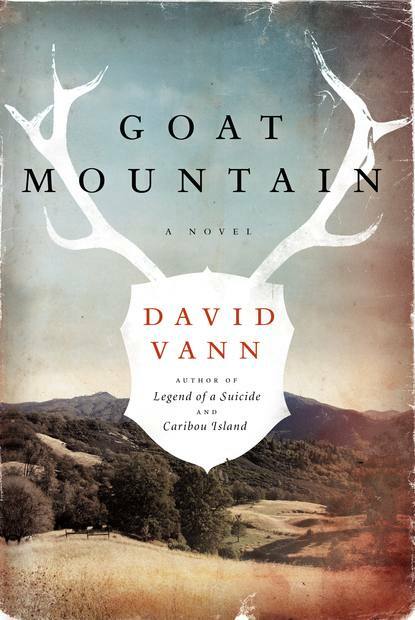 In prose devasting and beautiful in its precision, David Vann creates a haunting and provocative novel that explores our most primal urges, the bonds that bind us together, and the consequences of our actions—what we owe for what we’ve done. Foreign editions: UK and Ireland (and most Commonwealth countries), Australia and New Zealand, French, German, Dutch, Spanish (Castilian), Catalan, Portuguese, Italian, Danish, Norwegian, Korean. Finalist, California Book Award in Fiction 2013. First chapter published in The Australian. Goat Mountain’s playlist on largeheartedboy.com.